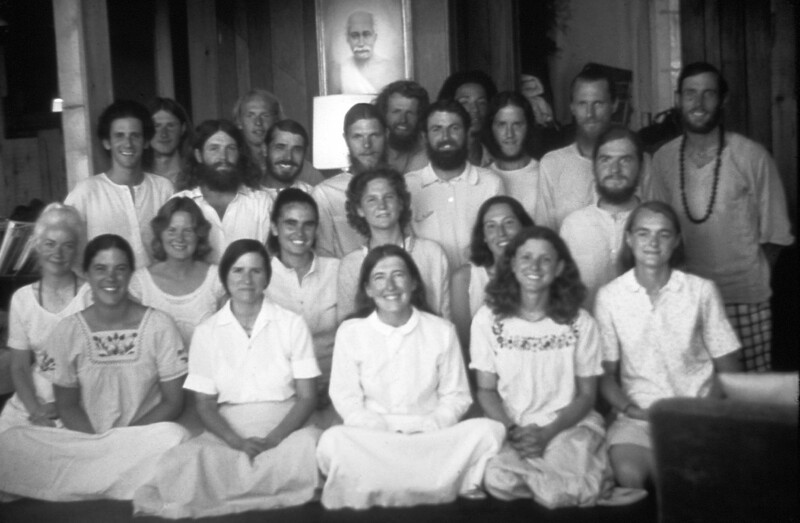 Forty-five years ago, there was a very clear first generation of Ananda—the devotees who “grew up” spiritually with Swami Kriyananda, founded Ananda Village and the various colonies, and now lead the work around the world. Many more have joined the movement since then, of course, but I’m told that there has never been quite so obvious a “batch” of souls incarnating together. Until now. 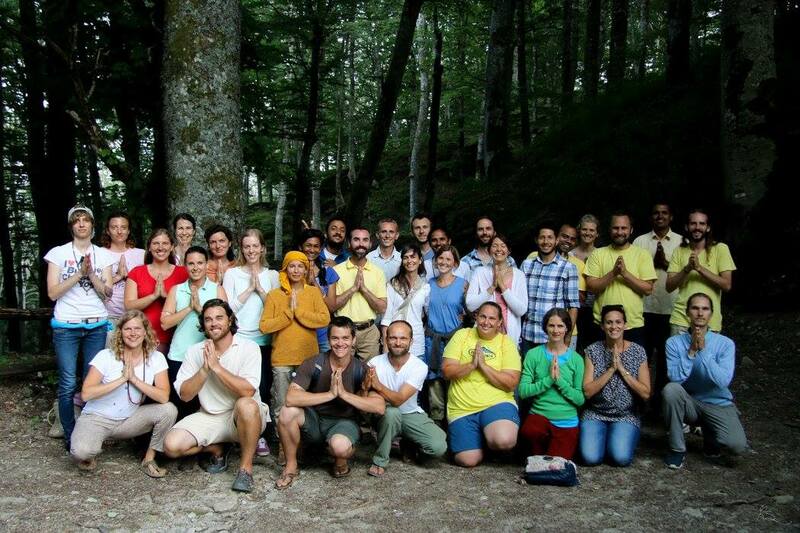 That first generation was able to spend a lot of time together in the early days of Ananda, forming bonds of spiritual friendship that held strong even after they dispersed around the world. The current generation is starting out already dispersed, and while it’s great that we’re already global, it also means we need to make an extra effort to bring our magnetism together and carry Master’s mission forward with all the harmonious energy it requires. There’s a lot more writing coming up, so if you’re the sort who prefers to skip right to the photos, there are a bunch here, mostly snagged from an even larger album here (which you’ll need to be on Facebook to see). There’s also a great video of highlights you can watch. 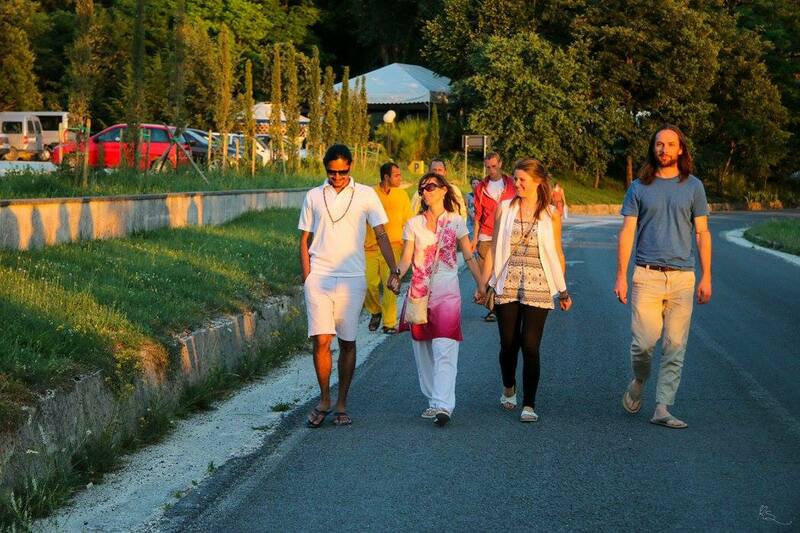 The Ananda community outside Assisi was really the perfect place for this to happen, I think. 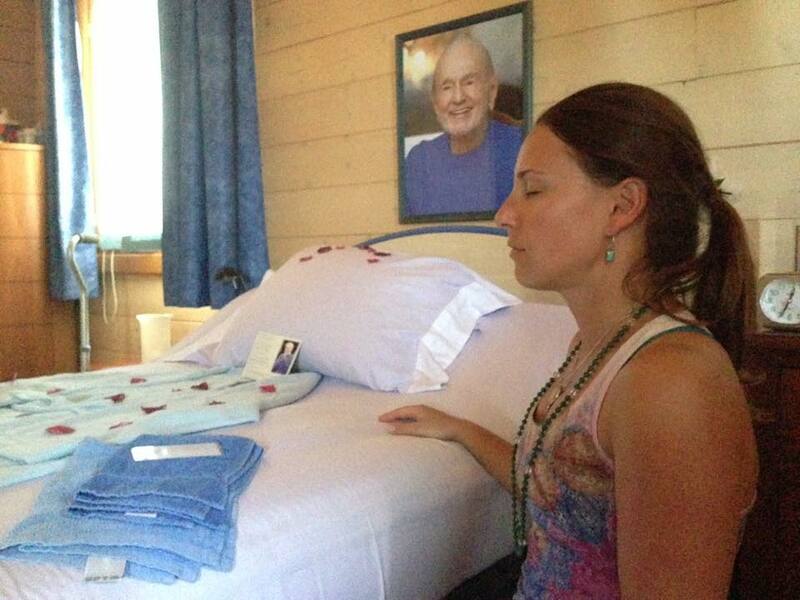 It already has a very international feel, being the main Ananda center for all of Europe, and the home of devotees from many different countries. I also liked the fact that the retreat center serves three meals a day, like the Expanding Light, but it’s not just for visitors: many or most community members eat there every day as well. So even though our group was usually together, we still felt very connected to the community as a whole, rather than separate or isolated. 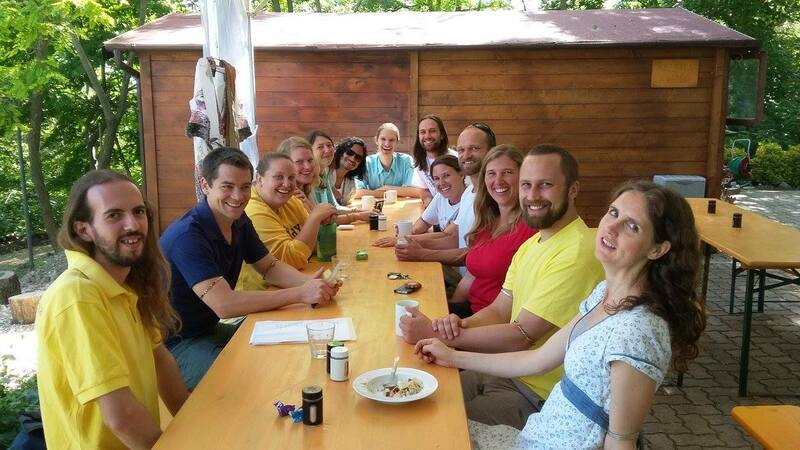 Similarly, the morning meditations at the temple are very well attended, and have a great, concentrated energy. 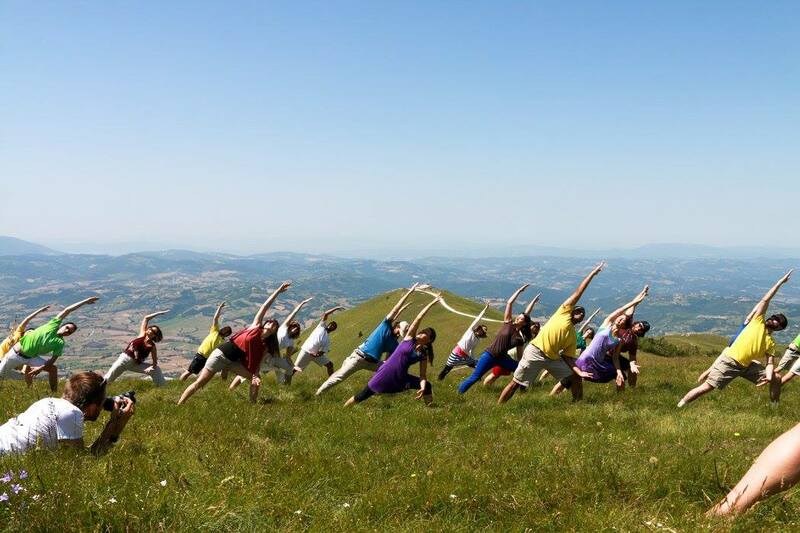 I made a point of going to the energization and yoga sessions beforehand as well, which means my Italian vocabulary includes rather more body parts than is probably typical for beginners. 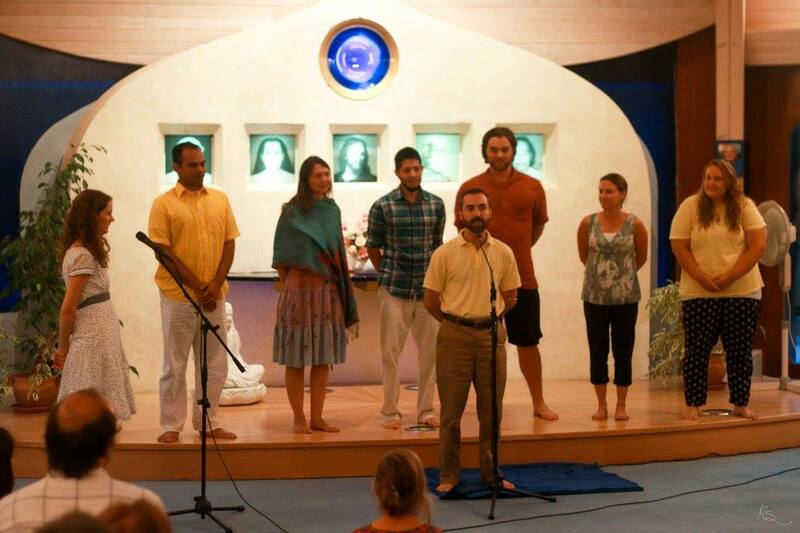 On the first evening there, we actually did all our introductions in the main temple, with the whole community invited, because so many people are interested in what was going on, and because it was just a fun way to introduce ourselves and meet everybody. We got a video of it, too, if you want to see who all was there. On the following days, though, we had our own space in the common room of the Agriturismo (where many of us were staying), and we had a lot of time there just spent in sharing and discussion. (Okay, and foosball and ping pong, too.) 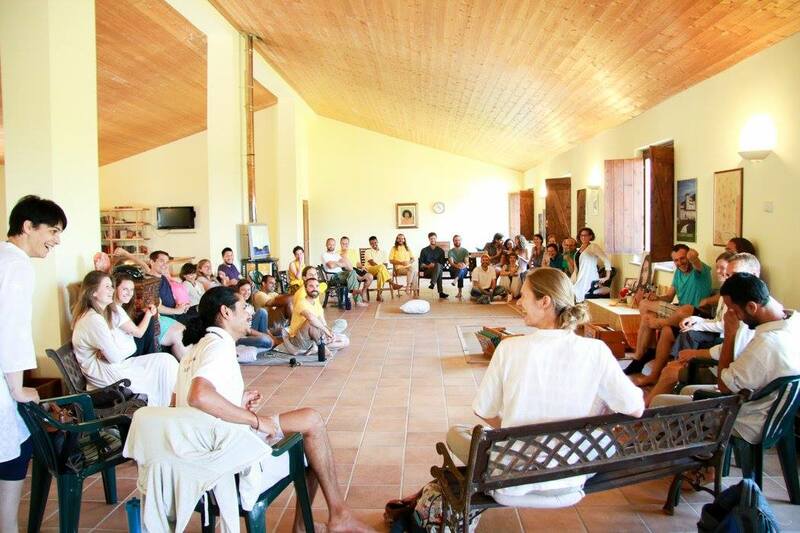 Aside from sharing our own personal stories, we also had focused sessions on Education for Life, farming and sustainable living, music, Ananda businesses, and more. We got to hear about what our friends around the world are doing in all these different areas, and brainstorm new ideas. It’s a testament to the magnetism of the group that we all could have been completely carried away into any of these areas of service. After Zach and Hailey spoke, I think we all wanted to be farmers. After the EFL sessions, we were all ready to go out and become teachers. When this group gets together, we can probably do anything. 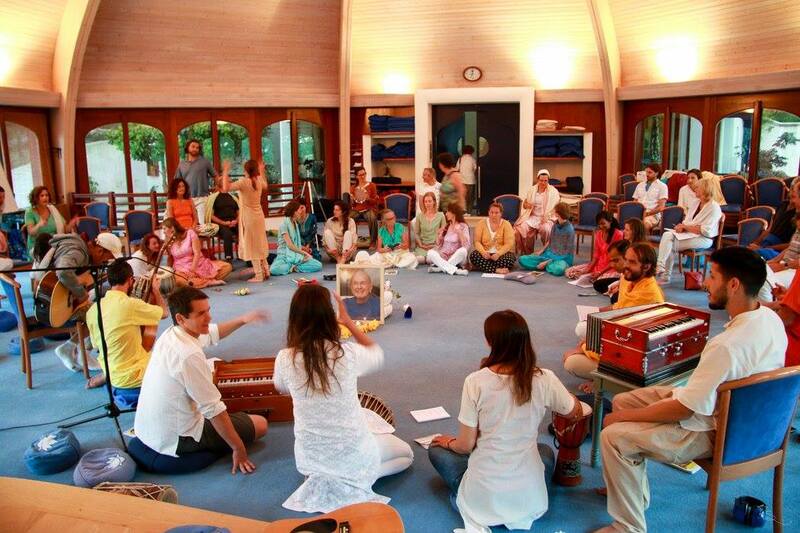 Music is always one of the most joyful and miraculous things about any Ananda gathering. We had been doing some chanting together, of course, but we hadn’t had any proper choir rehearsals yet when we found ourselves at 10:30pm on the steps of the Minerva Temple in Assisi, about to sing for various assembled passersby and late-night al fresco diners. Narayani wanted me to lead the choir, so there I am with no previous conducting experience, not knowing what songs we all know in what languages, facing a 40-person choir with an audience already gathering around us because we sure looked like we were going to come out with something good. And wow, we did. We ended up singing about 6 songs, to the great satisfaction both of ourselves and of our audience. And conducting it was really quite an experience, because you get so much more of the complete choir focused on you when you’re right in front, rather than buried away in the tenor section. 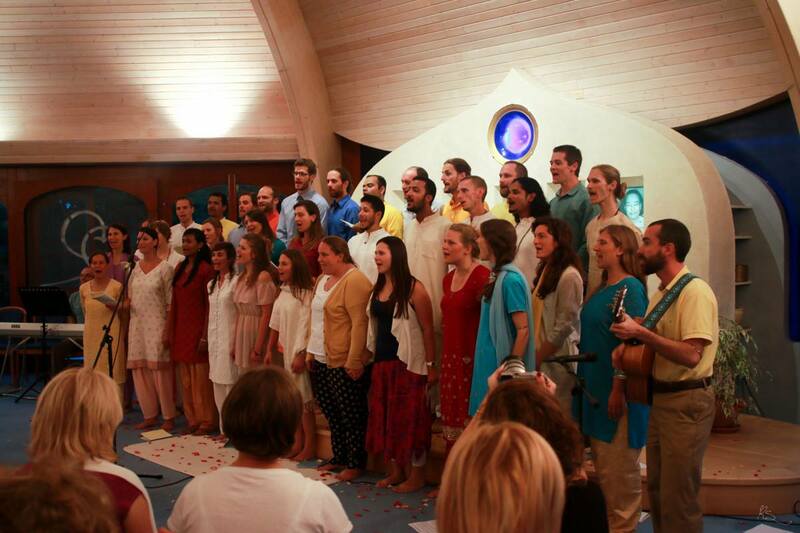 One of the evenings early in the trip, our group led a kirtan for the community. I don’t think we got it on video, but here’s a recording of the last half hour or so of it. They have multi-lingual chant books in the temple there, so we took some shots at singing in Italian as well as English, but a lot of folks also just opted to skip that whole issue and focus on Indian chants instead. We also put on a choir concert, for which we had one single rehearsal, the afternoon of the concert (and the day after our first singing on the streets of Assisi). And this was truly one of the miracles of music, because we only had a rough plan, and didn’t even know who we’d have in most of the solos or ensembles. And yet somehow, the music, as it does, pulled us all together and the concert was really a surprising success. We got the whole thing on video here (though the video and audio get pretty out of sync, so you might want to just listen). Just as much fun, though, is all the random informal singing that happens when gurubhais are hanging out together. On one long drive to La Verna, our van sang nearly the entire Oratorio—including some of the instrumentals—and then just kept going with whatever else we could think of. Then more singing on more car trips, singing around a campfire one evening, singing for spontaneous lunchtime entertainment, singing because you got sucked into the group performing for the newly arrived visitors… it was great. 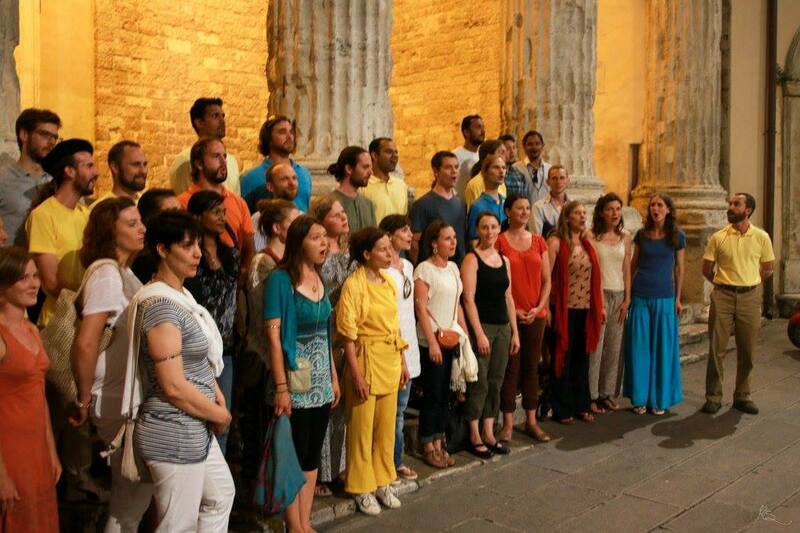 Here’s a video of us singing in Santo Stefano. We also had a chance to earn our keep with a few seva opportunities. 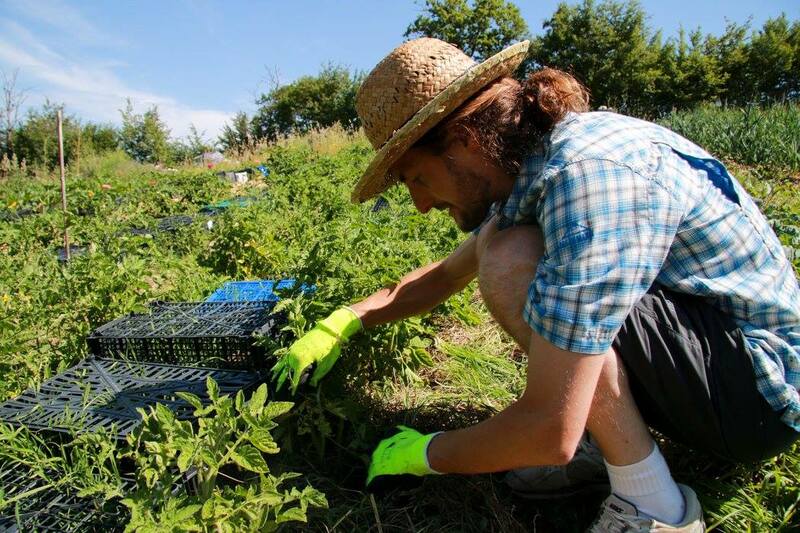 I think most people probably got a shift in the kitchen at some point, and we also spent a morning working at the Terre di Luce farm (I got to weed and mulch around the rose bushes). And on the last Saturday, we joined in on the Rajasi Day—an all-community work day. I had gotten pretty sunburned the day before, so I was looking for an indoors job. Plus, I was completely enamored of the Awakening Arts Academy that we’d gotten to visit earlier. Plus, Dana’s a hoot, so what with one thing and another, I managed to finagle my way on to her team. I got spider duty. Those glorious high ceilings and skylights in the art gallery are apparently spider heaven, so I got to stand on a ladder, reach as high up as I could with a long broom, and sweep spiders and cobwebs right down on my face (because I couldn’t reach far enough to angle out much away from myself). 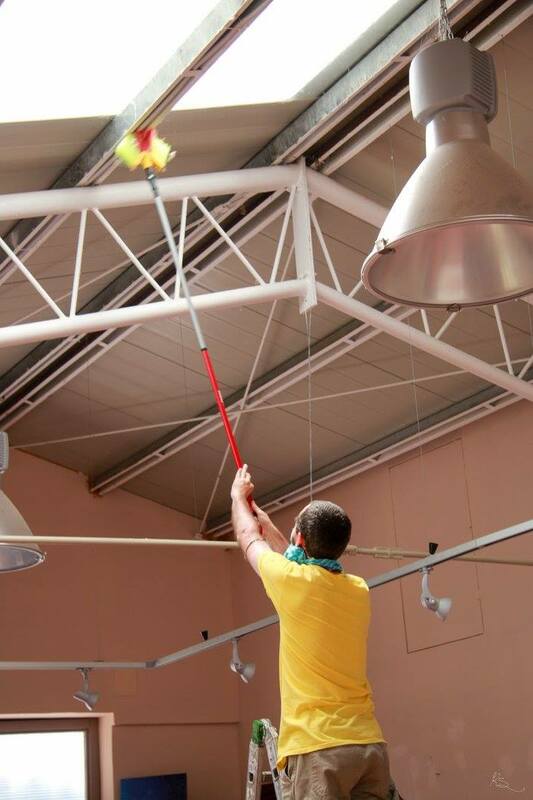 Then scoot the ladder forward a foot and do it again. For several hours. Luckily I had a helper, because apparently I have to start collecting my tribe of toddlers no matter where I am in the world. 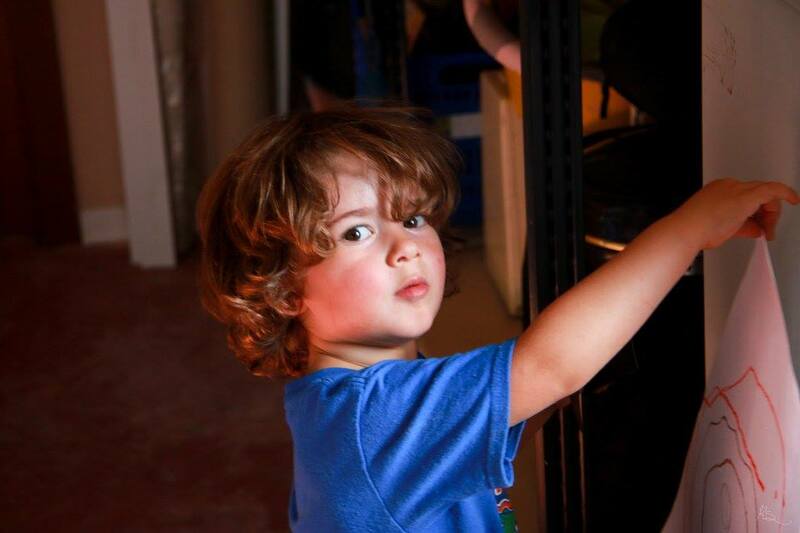 Little Xavier was there with his mom who was also working in the art academy that day, and he needed something to do, so I trained him to run around on the floor catching the spiders I knocked down and taking them outside. We both learned that if you grab a daddy longlegs by one leg, its whole body freezes still, which is pretty cool, and we both ended up having a lot of fun with the disarachnification of the building. I hadn’t considered this trip as a pilgrimage, but as it turned out, it very much was, with the heart of it being in Swamiji’s house. 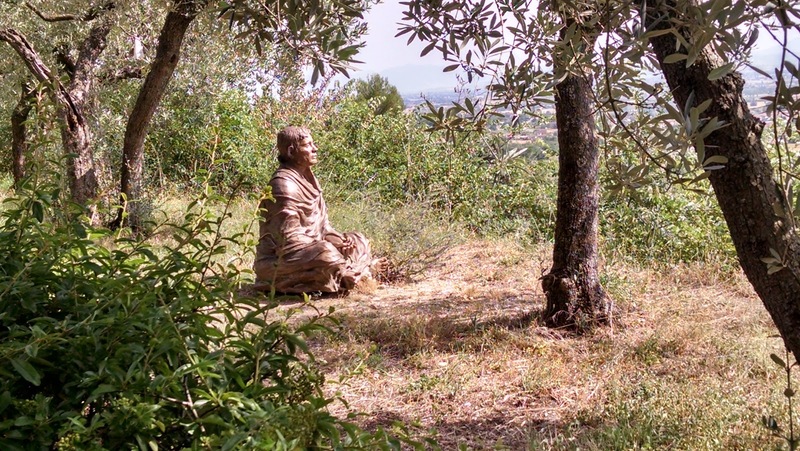 It’s amazing that it is so open and available to be visited and meditated in, and we were blessed to share a meditation there nearly every day. I don’t tend to go into such places expecting anything very dramatic. I know God and guru are everywhere, and so I figure I’m going to experience Their presence to a greater or lesser degree more on my own merits than anything else, like just being in a particular location. But some places really do have a special power. It was sweet to walk around the small house, and see Swamiji’s favorite tea cup and whatnot. But then I went into the bedroom where he left his body, knelt down by the bed, and suddenly it was as if he were just there. It felt exactly the same, and every bit as vivid and immediate, as the first time I ever met him, and I spent most of that first meditation crying in the same way I did back then, nine years ago. Even just thinking about it days later, the same feelings come back. 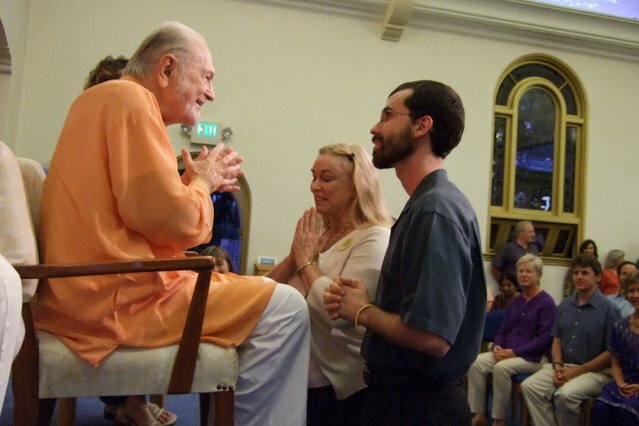 I felt like our group as a whole was also very attuned to Swamiji, and I spent a lot of the trip trying to practice tuning into him more and more. But every visit to that bedroom was always special in its own particular and intense way. We also, naturally, got to spend some quality time with St. Francis. San Damiano was our first visit, and was most notable for the spot where St. Clare left her body. I felt like I could have pinpointed that location even without the signs. Even just a few steps away in the same room, the energy felt different. 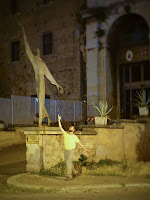 After San Damiano, we went to the Porziuncola, but that was a bit too overwhelming for me. The original little church was very dear, but there was so much built up around it that I just couldn’t get centered and tune into it. Towards the end of the trip, we also spent a day at La Verna. For me, this started out as another case of too much stuff and too many people. Tourist energy is hard to meditate in, and even with us yogis, it can be distracting having 30 of us trying to get in and out of small chapels and whatnot. So I spent the morning hiking around the gorgeous mountain top and enjoying the stunning views of the valley. But then after lunch a lot of the rest of our group went up the hill, and many of the other visitors were in a service in one of the chapels, and I found myself alone with the rock that Christ sat on when he would appear in visions to St. Francis. I put my hands on it and suddenly all I could do was just stand there and be with it, unmoving, for 20 or 30 minutes. Eventually someone else came in and I slipped out to go visit the cave where St. Francis slept on a rock, and again I had some nice time there alone and moved on when other folks came by. Ditto for the tiny cave where the cliffside folded itself inward to keep St. Francis from falling. Those kinds of places, where you can be with the actual rocks St. Francis touched, were so much more moving than all the extra fancy stuff that got built up around it all later. 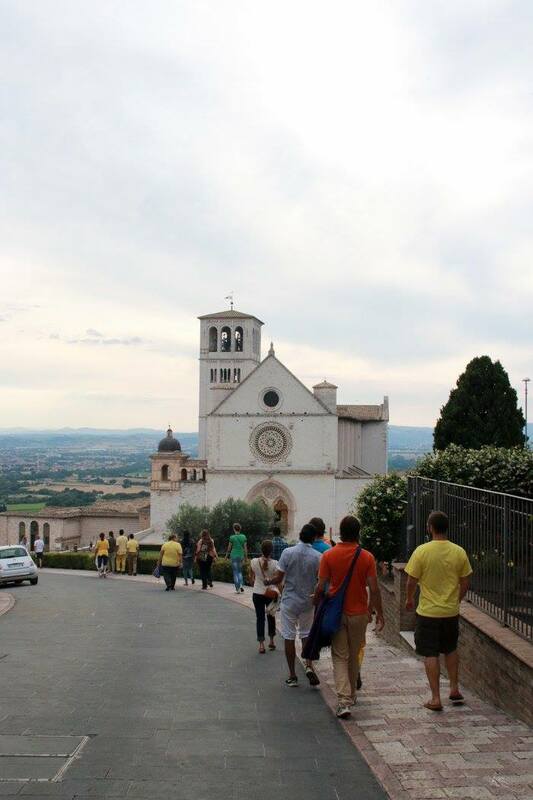 Though I did go do my kriyas later in the chapel built where Francis received the stigmata. 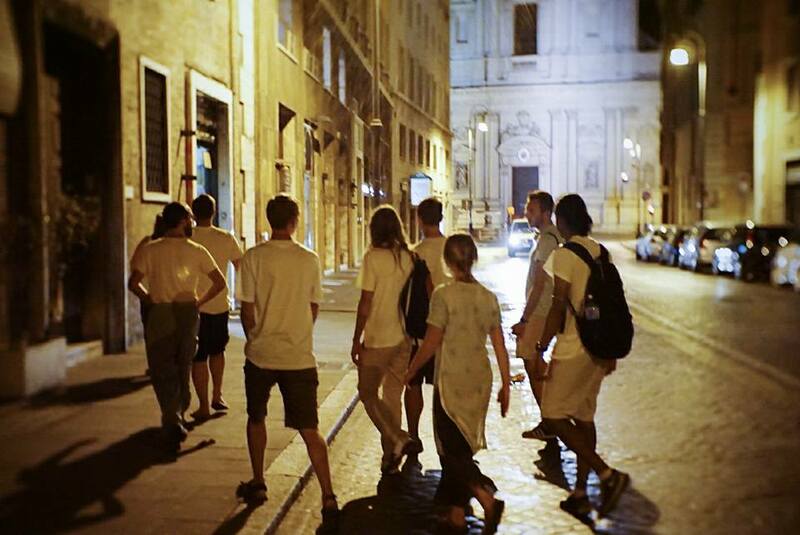 Okay, so our program ended on Wednesday morning, and seven of us had morning flights out of Rome on Thursday. Rome is about a 2.5 hour drive from Assisi, so someone (I don’t actually know who) had what seemed like a good idea at the time, which was for us all to go to Rome Wednesday night, drop all of our bags in Katelyn’s hotel room (since she was staying an extra day or two) and then just stay up all night wandering around Rome in the dark until it was time to get a taxi to the airport. Apparently jet lag can’t touch you if you completely mess yourself up first. Well, as we finished dinner at about 10:30, some of us started realizing that it had been a pretty long 10 days, and we weren’t exactly caught up on sleep to begin with, and it was going to be how long until we could sleep on the plane? But we ended up having a very nice stroll all around Rome in the dark, seeing the outsides of various places that were, of course, closed for the night, like the Pantheon, the Coliseum, etc. After a couple hours we went down by the river to energize and meditate, which helped. And around 3:30 we finally went back to grab our bags and get a 100 mph (no traffic!) taxi to the airport by 4am. My own saga continued with more details than I need to get into, but after various other delays and missed flights, I eventually got home, having gone about 48 hours without seeing a bed. Oh, and staying up all night totally did not scare the jet lag away. But I’m feeling better now. This gathering of people and energy was a beautiful experience, and really perfect for what we needed at this stage, I think. More gatherings of “this group”—however we define it and whoever wants to be in it—will definitely happen, but probably not in the same way. The energy needs to start heading out into more service and expansion sooner rather than later. 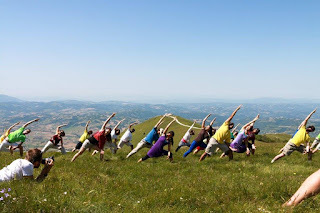 Perhaps the next time we gather this “batch” of devotees together, it will be for a reincarnation of the Joy Tours, or a manifestation of something else fun and creative. Stay tuned! What a wonderful deep experience at so many levels. As Master said, what a beautiful family God has given us here on earth! Fabulious blog. Thanks for sharing. What a great blog you put together. I so enjoyed watching the videos and listening to the music you all were making. I felt as if I were there with you. Thanks for all the effort you put into it!